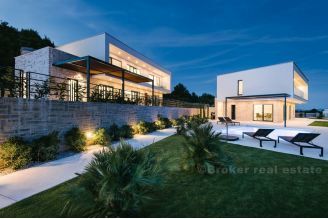 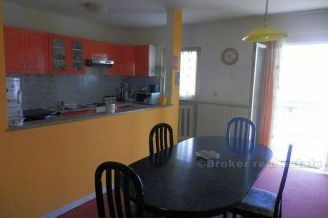 The house is situated on a plot of 600 m2, the second line of the road, away from the sea, the beach, some 100 meters. 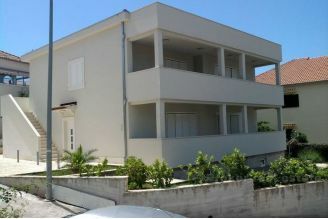 The house consists of a ground floor and two floors, and has about 380 m2 of living space. 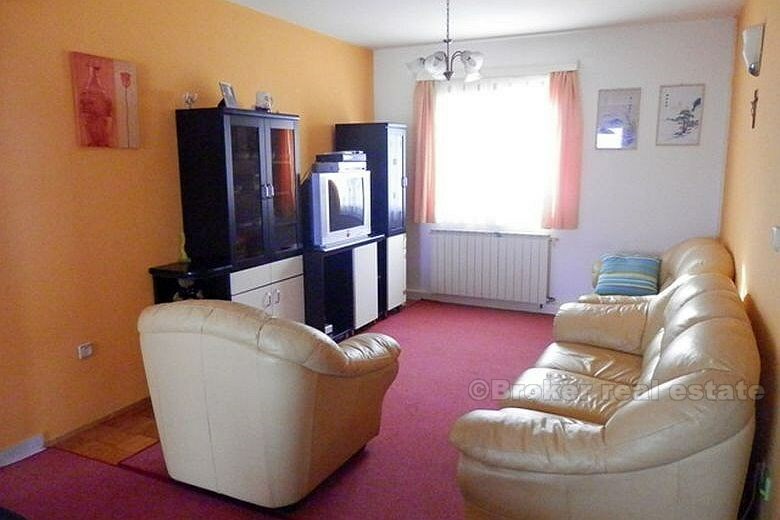 The ground floor apartment with two bathrooms, porch and cellar. 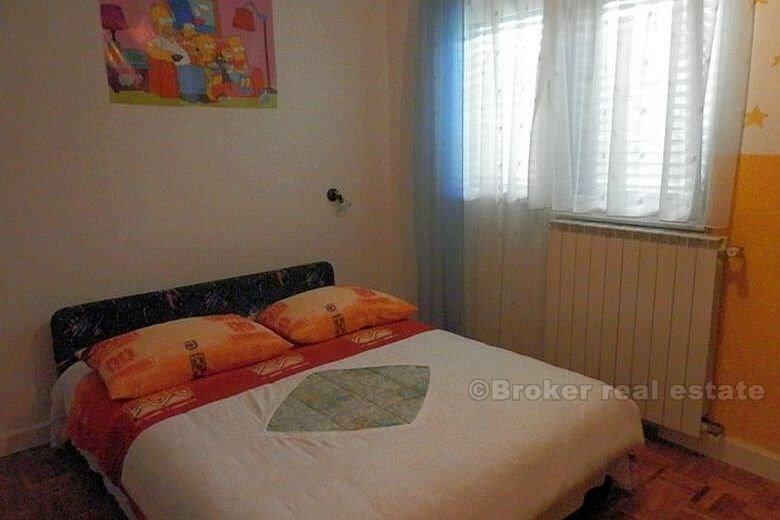 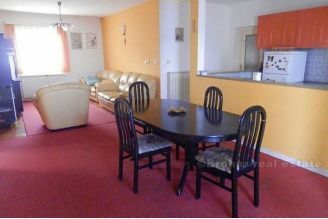 The first floor apartment is fully furnished with central heating, air conditioning. There are three balconies. 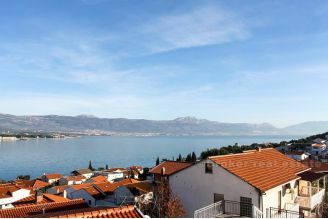 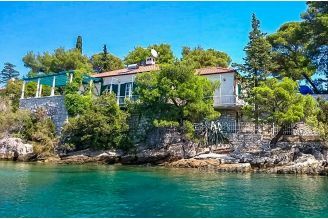 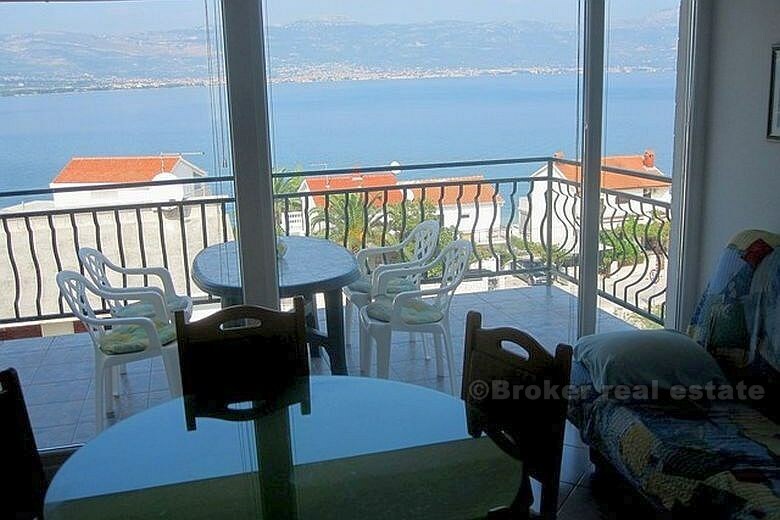 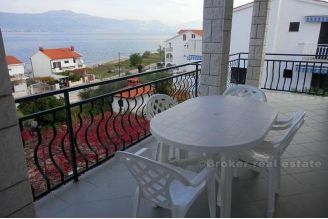 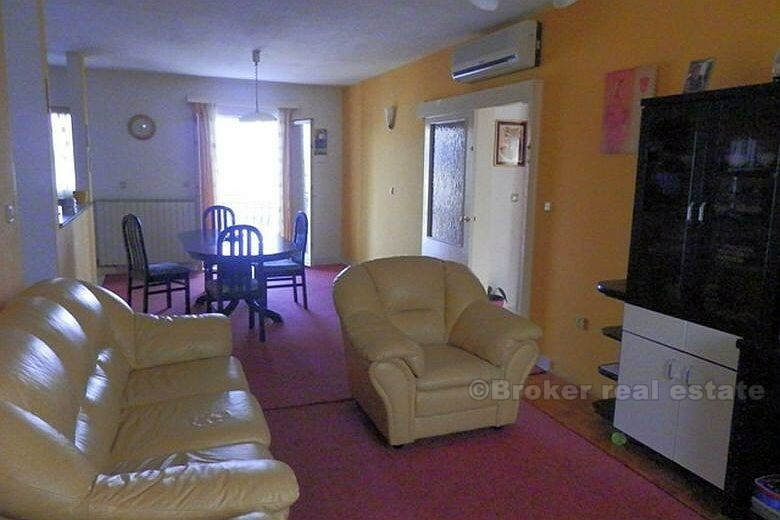 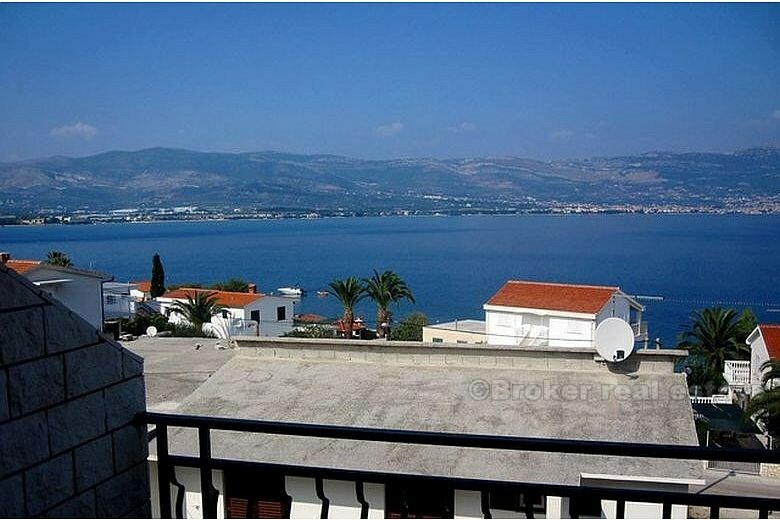 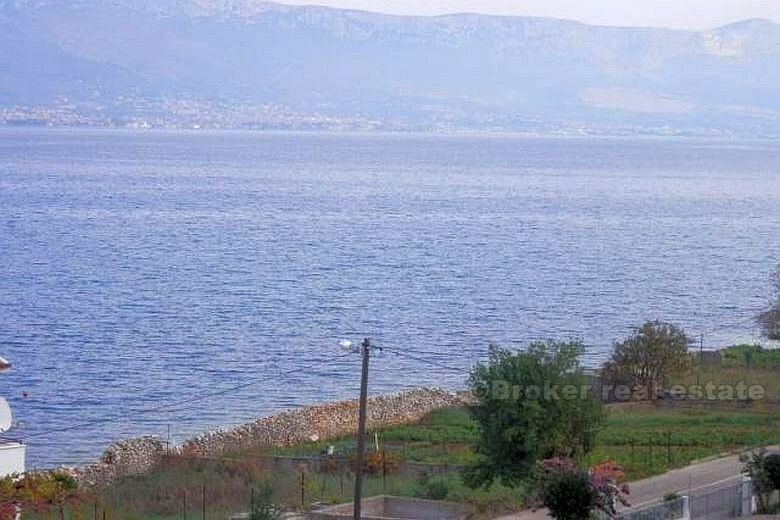 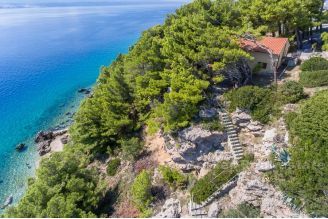 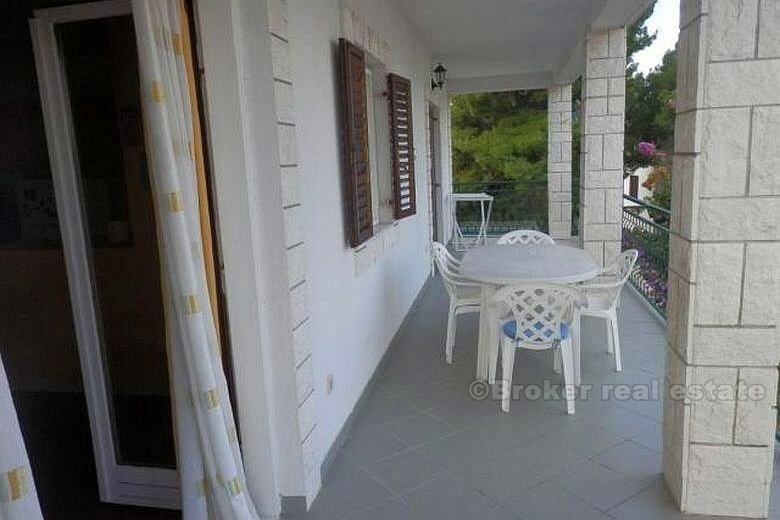 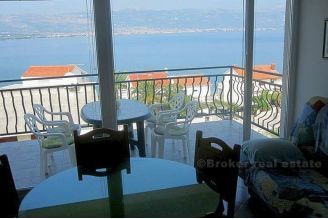 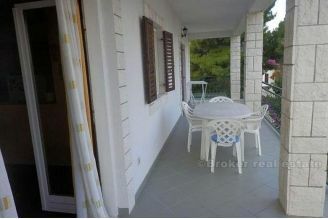 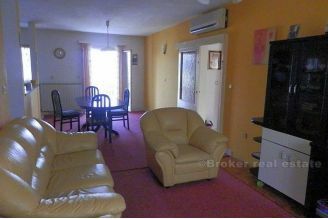 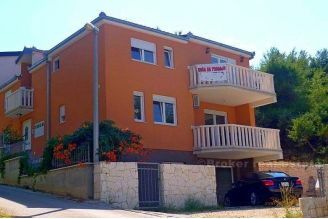 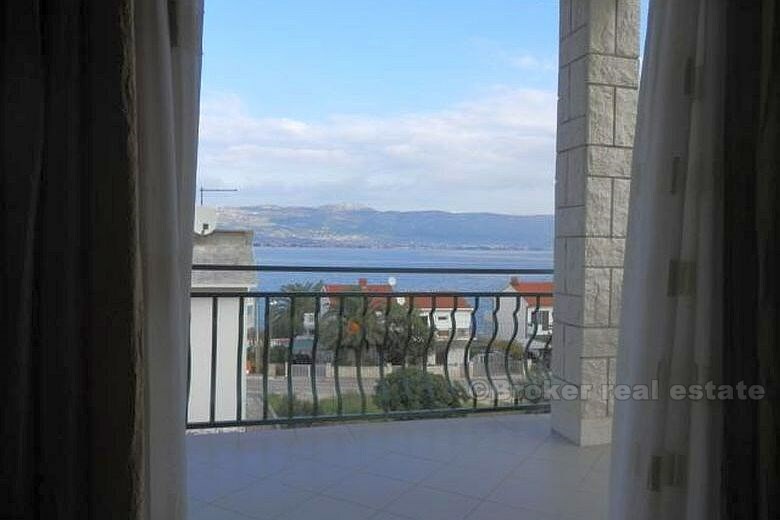 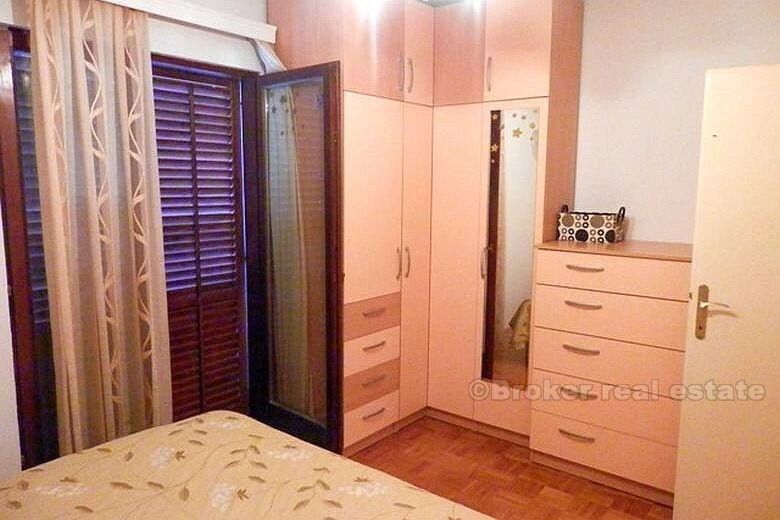 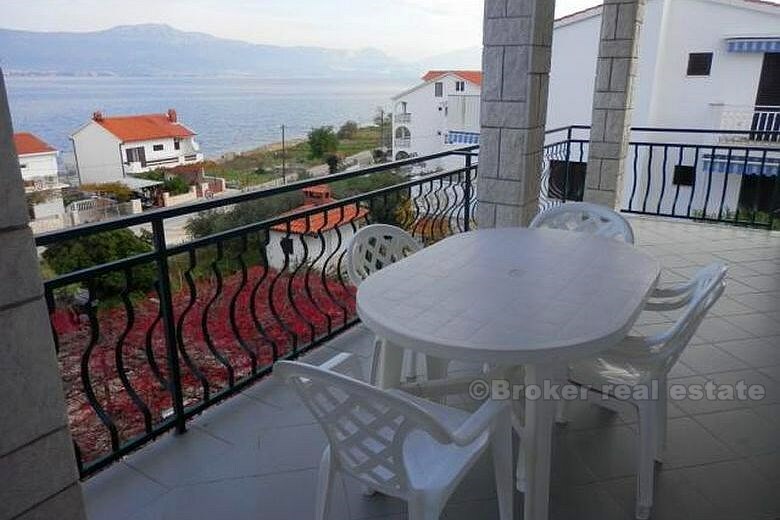 One balcony is approximately 22 m2 with a view on Kastela. The second balcony on the south side, approx 10 m2 and a small balloon 4 m2 also with sea views. 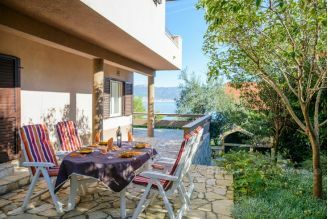 On the second floor there are two separate apartments each with its balcony with a beautiful view of the sea, Kastela and Split. 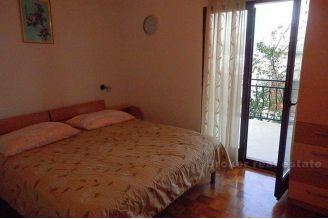 Both apartments are fully furnished, air-conditioned, each with two bathrooms. 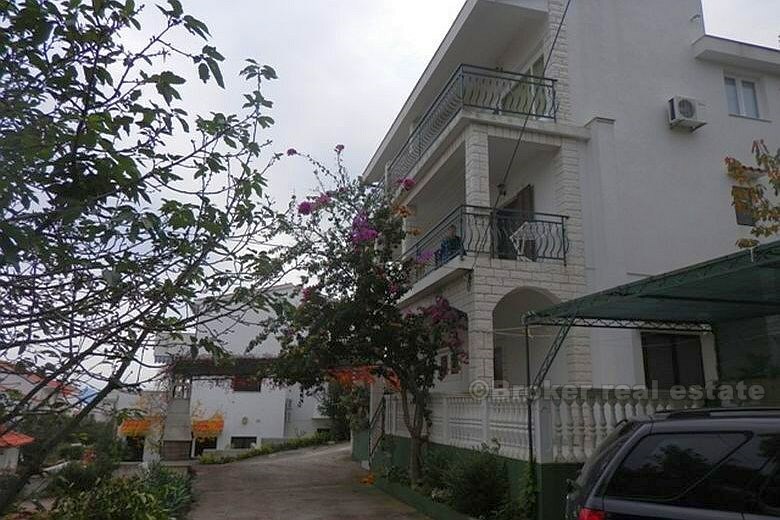 The house has a parking space big enough for 5 cars, next to the parking lot has a garden planted with fruit trees.